Your favorite songs are not compatible with iPod or cell phone? Want to convert WAV recordings to MP3 files to save hard drive space? Bored with converting different audio formats one by one? 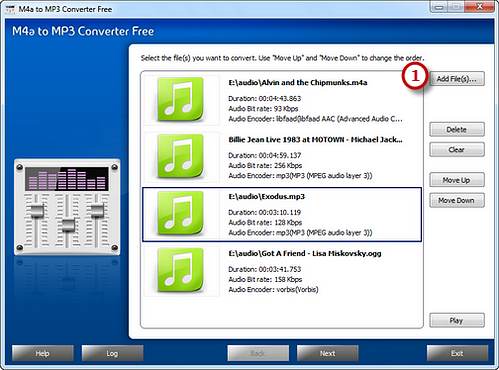 M4a to MP3 Converter Free helps you solve these problems. The product can batch convert any audio formats quickly without losing original quality. 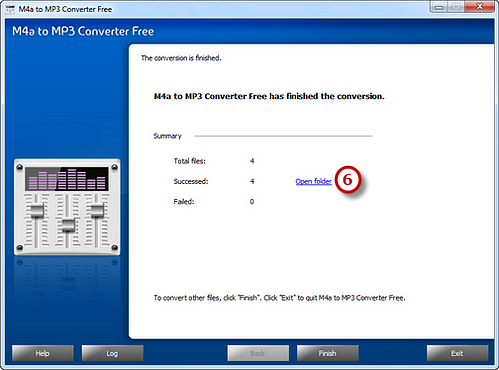 Launch M4a to MP3 Converter Free and click “Add File(s)…” to add audio files to the conversion window. You are allowed to add a large quantity of audio files to be converted. With the conversion window, you can see the detailed information of the added files. If needed, use “Delete” or “Clear” button to remove the unwanted files and “Move Up/Move Down” button to change the order. There’s a “Play” button to play the selected file with the media player in your system. Click “Select…” to choose an output folder from your computer to store the output files. 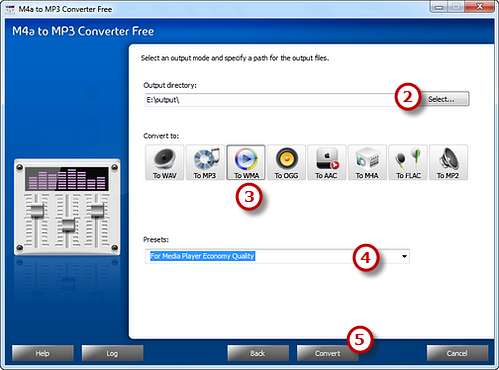 Choose an output format you need from WAV, MP3, WMA, OGG, AAC, M4a, FLAC and MP2. Then, adjust the format presets in the “Presets” dropdown list if more precise output quality is required. Click “Convert” to start conversion.